This stunning bespoke gallery wall art print is the perfect addition to any newborn baby girl's nursery. The fully personalised design is directly printed onto polished 5mm white Perspex. Our in house designers use the highest quality UV printing technology for every individual order. 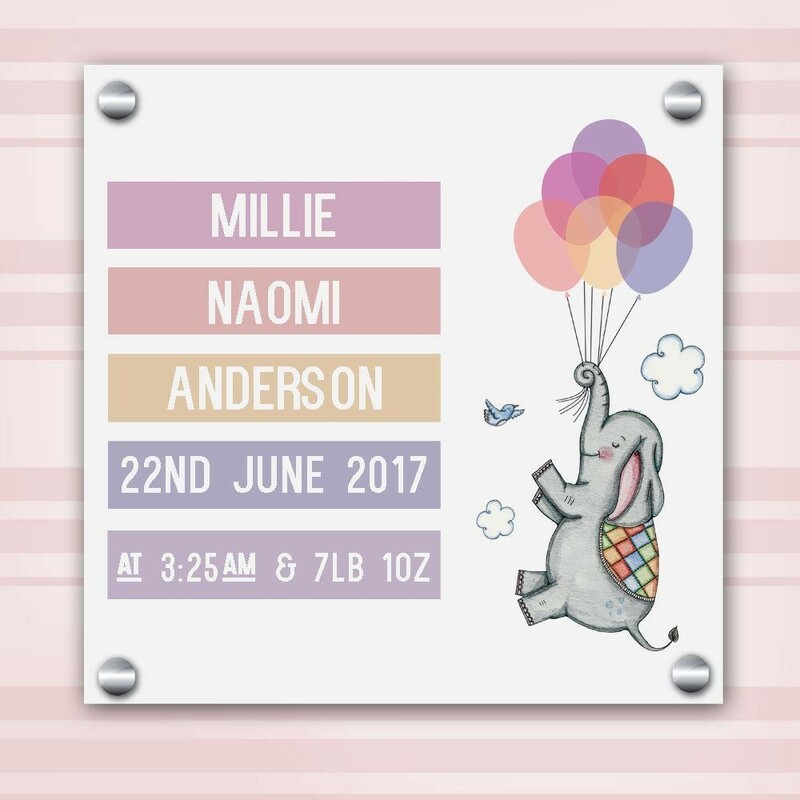 A floating elephant is holding multicoloured balloons to celebrate the baby girls arrival! The original watercolour illustration has a textured 3D feel when touched and the polished perspex frame gives an impressive and unusual reflective shine. 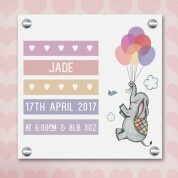 It is made complete with coloured blocks which include all of her birth information (full name, date, time of birth and weight). 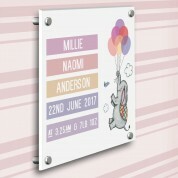 Parents will appreciate the modern print and will love to show it off to visitors! Measuring 30cm x 30cm (12” x 12”), your UV Print is supplied with quality 20mm stand off wall fixings which complete this Gallery Standard Frame. 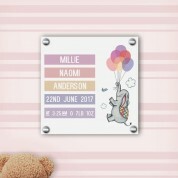 Please note we require a minimum of 1 name and a maximum of 4 names for personalisation. We will optimise the design based on the name(s)supplied – as per example images.